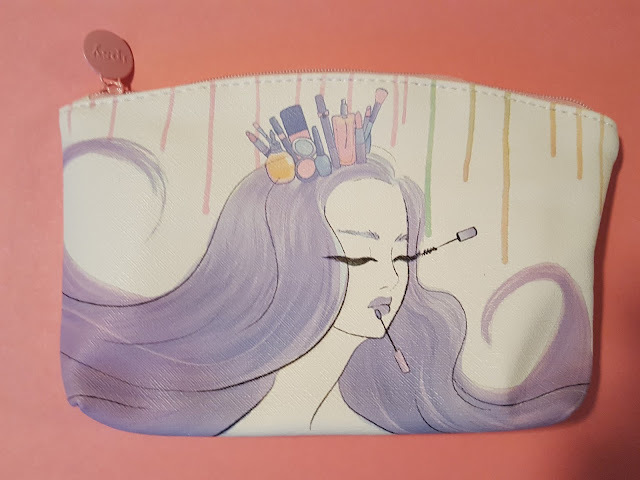 I guess last month was a fluke when Ipsy arrived within a week of the ship date because this month we're back to the normal two and a half week wait. 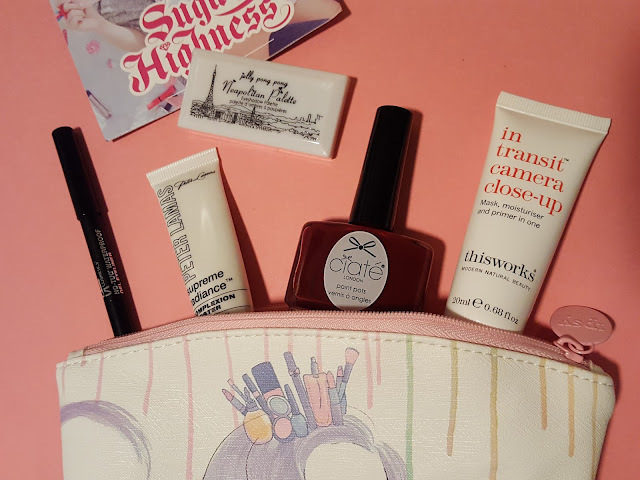 :( August's glam bag has a"sugar highness" theme which made me smile because it made me think of everything happy like sprinkles and colorful candy and unicorn farts. 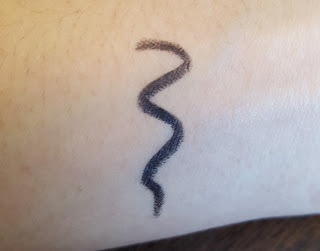 It Cosmetics No-Tug Waterproof Gel Eyeliner - Black (0.35g, value $15) - No tugging? Check. Waterproof? Checkity check. It's smudge proof, too. I swatched this on my wrist and had to rub pretty hard with water for it to come off. 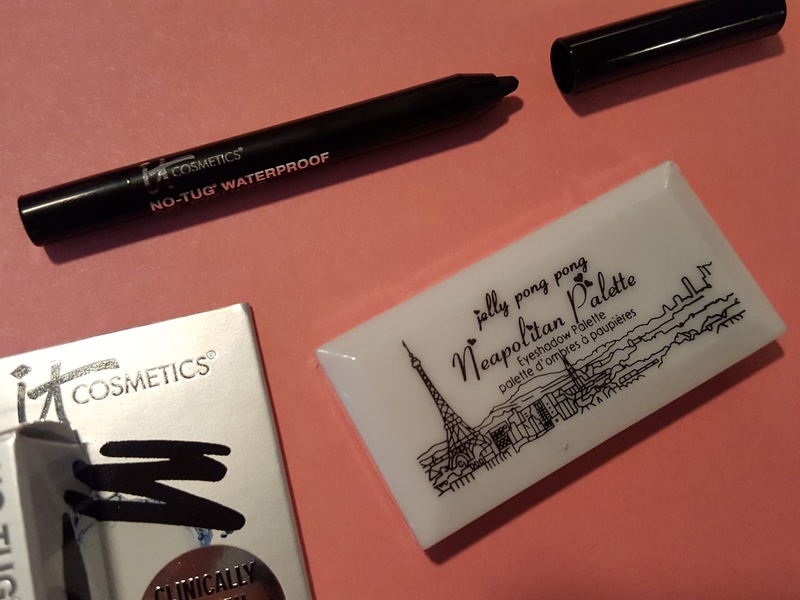 My go-to eyeliner is Julep's When Pencil Met Gel but I'll definitely be using this one when I run out. 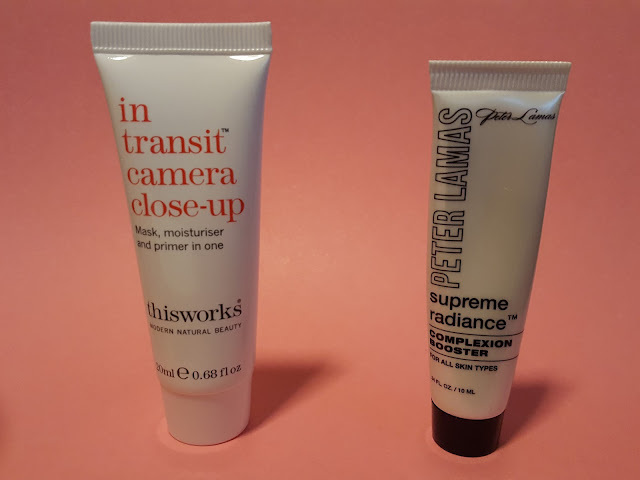 In Transit Camera Close-up Mask+Moisturizer+Primer (20ml, value $27.50) - Lately Ipsy has been including one crazy expensive moisturizer almost every month. This is it for August. I don't know about you, but I can't exactly justify spending $40 for an ounce of moisturizer, even if it is a triple-tasking one. I'm glad I got this in my glam bag because I'm pretty sure I won't be purchasing the full one-ounce size no matter how magical it is. Peter Lamas Supreme Radiance Complexion Booster (10ml, value $14.50) - This is another expensive find. 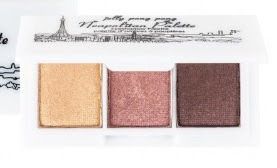 This complexion booster is lightly tinted and contains light-reflecting particles for a luminous finish. It also contains retinol and salicylic acid to reduce fine lines while CoQ10 and Vitamin E help protect and hydrate your skin. 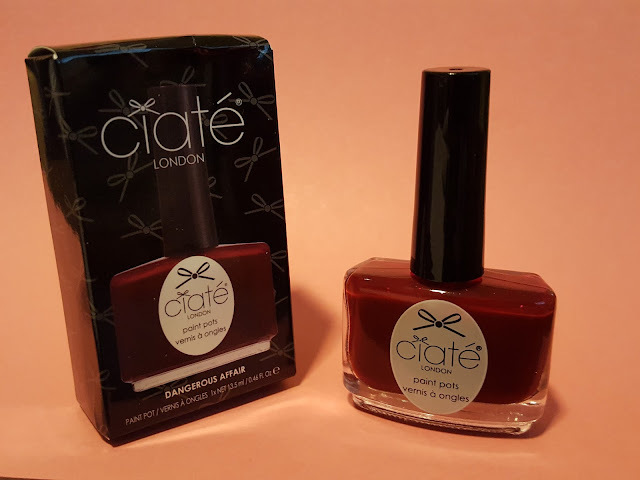 Ciate Paint Pot - Dangerous Affair (0.46oz, full size, $15) - Ciate makes some of the prettiest colors with some of the most interesting names. Unfortunately, I'm not a huge fan of burgundy nail polishes. It's a very fall-appropriate color though, so I'm sure I'll have no problem finding someone who can get lots of use out of this one. This month's Ipsy is an example of the super high value ($80!!) you can get for just $10. Lucky for me, I can get use out of most of these things even if I can't afford to purchase the full sizes later on. :( My favorite is definitely the gel eyeliner. I know, boooring - but I do love when I discover a keeper and this eyeliner is exactly that.